As a general rule, only rated pilots and qualified airframe and powerplant (A&P) technicians are authorized to start, run up, and taxi aircraft. All taxiing operations are performed in accordance with applicable local regulations. 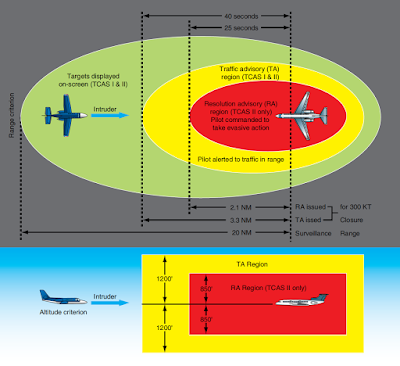 Figure 1 contains the standard taxi light signals used by control towers to control and expedite the taxiing of aircraft. The following section provides detailed instructions on taxi signals and related taxi instructions. Many ground accidents have occurred as a result of improper technique in taxiing aircraft. 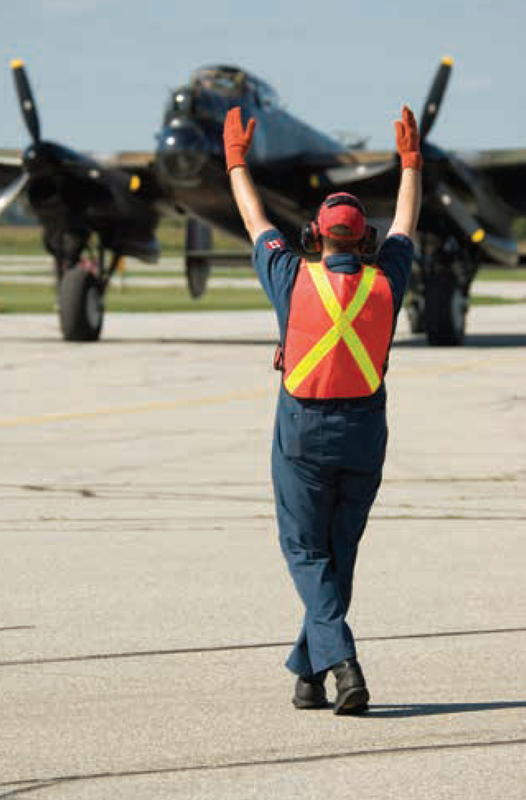 Although the pilot is ultimately responsible for the aircraft until the engine is stopped, a taxi signalman can assist the pilot around the flight line. In some aircraft configurations, the pilot’s vision is obstructed while on the ground. The pilot cannot see obstructions close to the wheels or under the wings and has little idea of what is behind the aircraft. Consequently, the pilot depends upon the taxi signalman for directions. 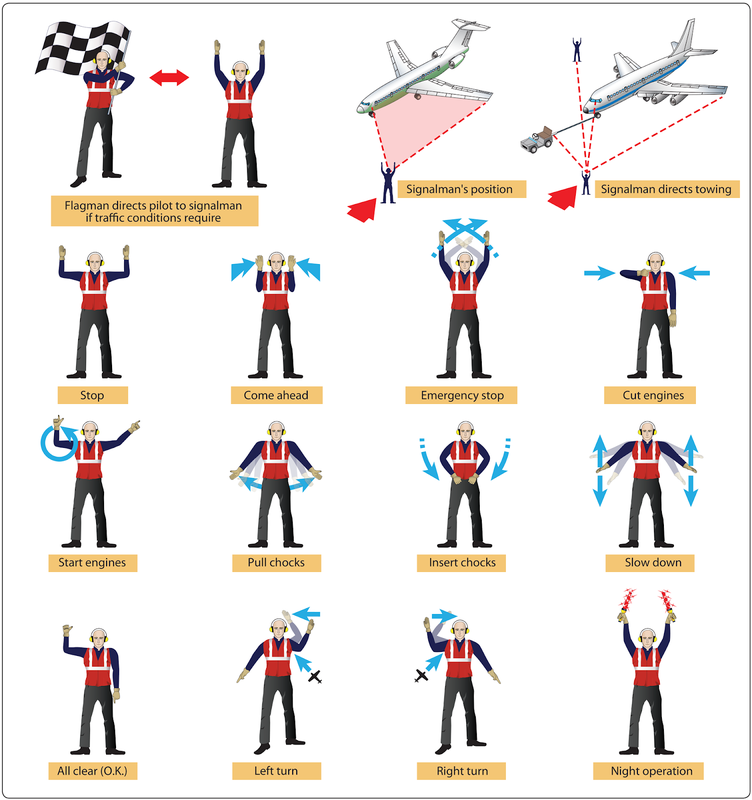 Figure 2 shows a taxi signalman indicating his readiness to assume guidance of the aircraft by extending both arms at full length above his head, palms facing each other. 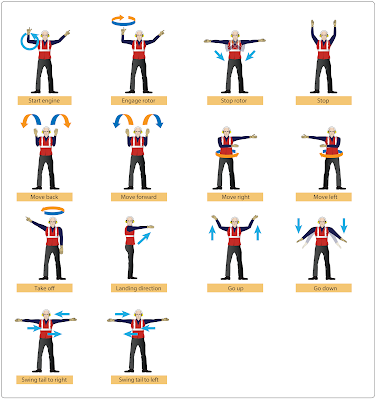 The standard position for a signalman is slightly ahead of and in line with the aircraft’s left wingtip. As the signalman faces the aircraft, the nose of the aircraft is on the left. [Figure 3] The signalman must stay far enough ahead of the wingtip to remain in the pilot’s field of vision. It is a good practice to perform a foolproof test to be sure the pilot can see all signals. If the signalman can see the pilot’s eyes, the pilot can see the signals. 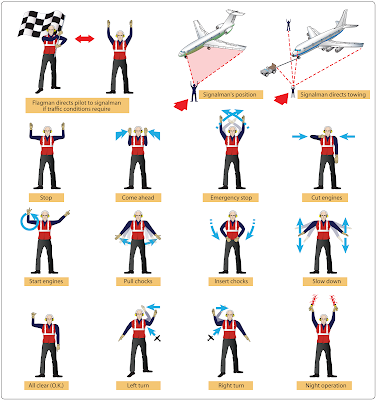 Figure 3 shows the standard aircraft taxiing signals published in the Federal Aviation Administration (FAA) Aeronautical Information Manual (AIM). There are other standard signals, such as those published by the Armed Forces. Furthermore, operation conditions in many areas may call for a modified set of taxi signals. The signals shown in Figure 3 represent a minimum number of the most commonly used signals. Whether this set of signals or a modified set is used is not the most important consideration, as long as each flight operational center uses a suitable, agreed-upon set of signals. 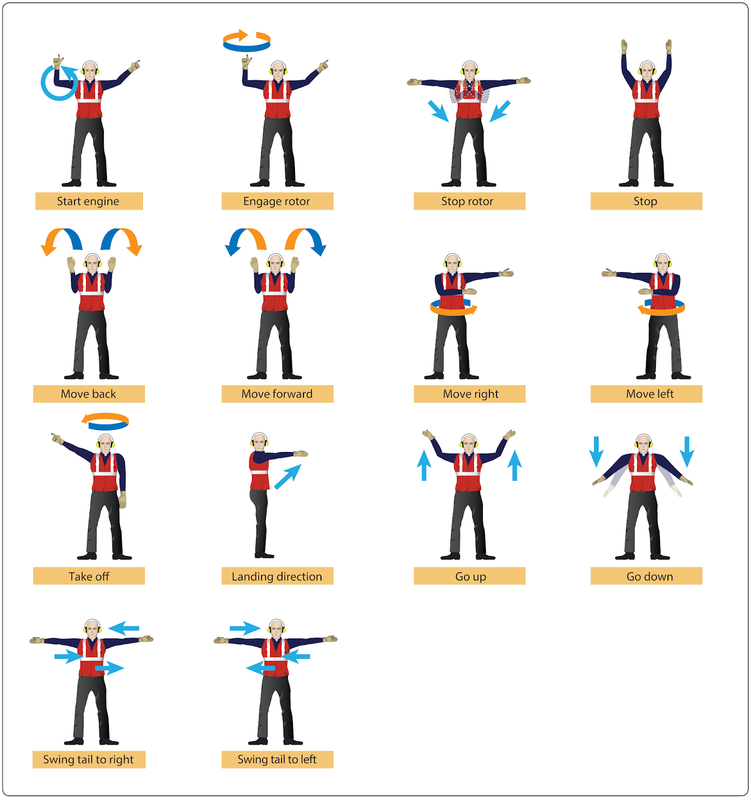 Figure 4 illustrates some of the most commonly used helicopter operating signals. The taxi signals to be used must be studied until the taxi signalman can execute them clearly and precisely. The signals are to be given in such a way that the pilot cannot confuse their meaning. Remember that the pilot receiving the signals is always some distance away and often look out and down from a difficult angle. Thus, the signalman’s hands must be kept well separated, and signals are to be over-exaggerated rather than risk making indistinct signals. If there is any doubt about a signal, or if the pilot does not appear to be following the signals, use the “stop” sign and begin the series of signals again. The signalman is to always try to give the pilot an indication of the approximate area that the aircraft is to be parked. The signalman must glance behind himself or herself often when walking backward to prevent backing into a propeller or tripping over a chock, fire bottle, tie-down line, or other obstruction. Taxi signals are usually given at night with the aid of illuminated wands attached to flashlights. Night signals are made in the same manner as day signals with the exception of the stop signal. The stop signal used at night is the “emergence stop” signal. This signal is made by crossing the wands to form a lighted “X” above and in front of the head.